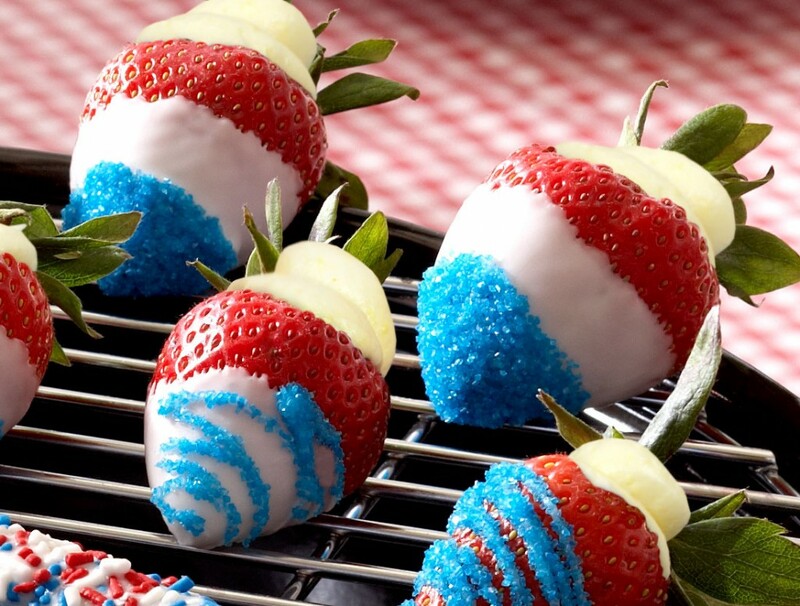 Amazing, delicious, OMG, wow - why didn’t I think of these!? 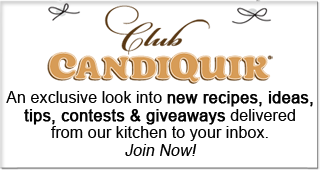 Recently we had a little contest, that some of you may have heard of… if not, you seriously need to join Club CandiQuik. The contest was named the “Make Our Ad” Contest. The Grand Prize Winner is receiving free CANDIQUIK for a year – yes, FREE! Here were the 3 finalists if you’re curious. This recipe that I am about to share, however, did not “Make our Ad” BUT it was dang good! 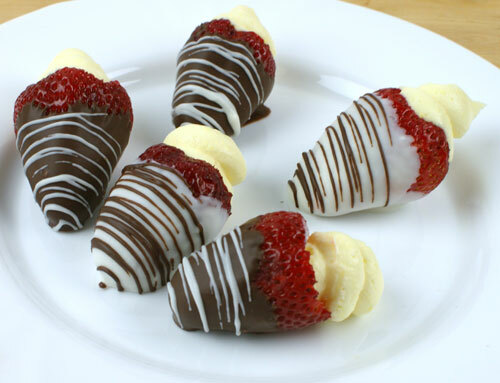 So I must share these Cheesecake Stuffed Strawberries. I added a little red,white, and blue theme since the 4th of July is coming up. The big strawberries are easiest to fill, but the little ones are totally one-biters - so set those aside (for you) - then you can manage the temptation while piping cheesecake into the other berries. Chocolate covered strawberries pale in comparison to chocolate covered strawberries STUFFED with cheesecake. 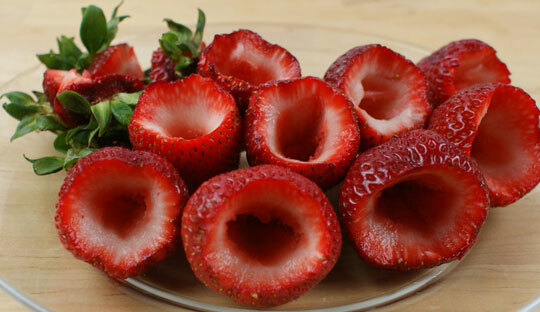 Using a knife, cut out the center (hull) of each strawberry, as deep as you can without going through the bottom. Set aside. Melt Vanilla (or chocolate if you wish) CANDIQUIK Candy Coating according to package directions. Melt the remaining package of Vanilla CANDIQUIK according to package directions (for the cheesecake filling). In a medium bowl, place the 2 blocks of softened cream cheese and dry pudding mix. Pour the melted CANDIQUIK over the top of these and blend until well mixed. Slowly fold in the cool whip (about 1/3 of the container at a time). Spoon the cheesecake mixture into a piping bag (if you don’t have a pastry bag, you could definitely use a plastic sandwich bag with a corner snipped off, same diff) and pipe the cheesecake into each strawberry! Yum! I saved the stems of the berry purely for the photo… but mint would look nice as a little garnish! 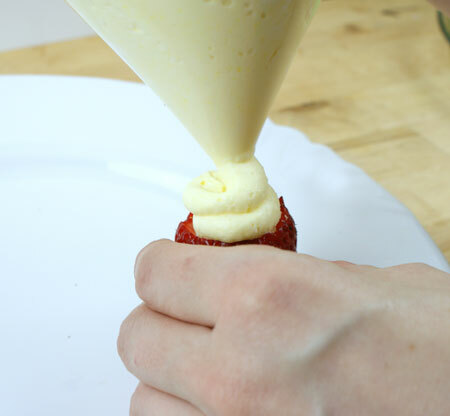 TIP: Pipe cheesecake into strawberry immediately before serving. Or as close to serving as possible. They will look nicer! What I love about this recipe (and the other two finalists): they are all easy peasy! I WILL be sharing the other two with ya soon – stay tuned! 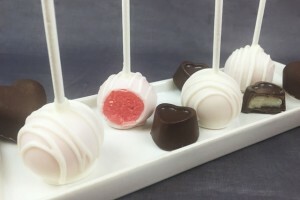 Could you please verify the amounts in the directions for these cheesecake stuffed strawberries? •2 packages cream cheese …What size, 4 or 8 oz? •1 container Cool Whip®…what size container? Does one bag of the CANDIQUIK go in the cheesecake mixture & one bag for dipping? 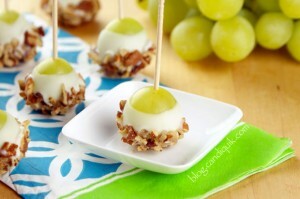 •2 (8 oz) packages cream cheese – make sure it is softened! & yes, one pkg of the CANDIQUIK goes in the cheesecake mixture & one pkg for dipping the strawberries! Thank you, I will update the blog to clarify this as well! Absolutely! 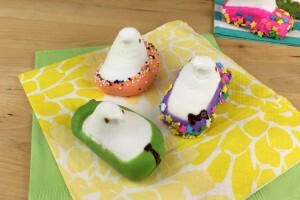 Have fun making these with your granddaughter – they are SOO good! Wow! I just had a conversation the other day with someone about this the other day! 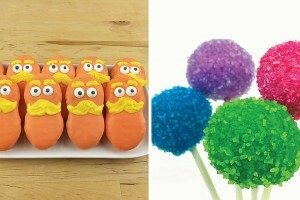 I was thinking of hoe awesome this would be and how I would make it, but now I don’t have to figure it out! Thanks to whoever sent this in! 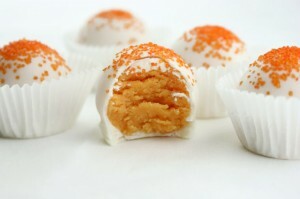 Were do you find the Vanilla CANDIQUIK® Candy Coating? 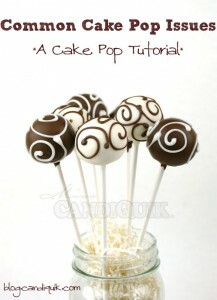 Looking forward to making these soon. Thank you very much! Hi Emily, where are you located? A City/State or zip code would help me narrow down to stores near you. Generally though, you can find this product at Target supercenters, Walmart…and tons of others, let me know what and I can help you further.